Building on the success of its initial MX4D® installations in TOHO Cinemas LaLaport Fujimi, TOHO Cinemas Roppongi Hills, and TOHO Cinemas Shinjuku in early 2015, Sony Business Solutions Corporation and U.S. 4D cinema innovator MediaMation, Inc. (MMI) announce eight upcoming MediaMation MX4D® motion EFX theatre installations for TOHO Cinemas, Japan’s largest theatre chain. All eight installations, ranging from 72-seat to 112-seat configurations, are scheduled to start opening. Sony Business Solutions became the exclusive distributor of MediaMation MX4D® Motion EFX cinema theatres in Q1 2015. Japanese movie-goers have enthusiastically embraced the MX4D® format, with two of the three initial TOHO Cinemas theatres shooting to the top of the box office stats of 4D in Japan shortly after opening their MX4D® screens in April 2015. The eight new TOHO Cinemas venues scheduled to debut include: Nishinomiya OS, LaLaport Funabashi, Namba, LaLaport Yokohama, Utsunomiya, Konan, Kawasaki and Nijo. MX4D® is MediaMation’s uniquely branded “4D” pneumatically driven motion EFX seating system. 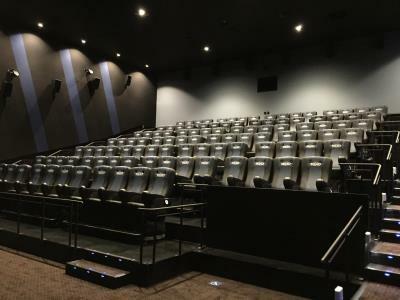 In general, 4D refers to an emerging “immersive” cinema technology which allows movie-goers to experience big Hollywood “blockbusters,” as well as locally produced major films, in a new way via the addition of moving seats, air/water blasts, leg/neck ticklers, fog, seat/back pokers, seat rumblers and other special effects that emanate from specially designed theatre seats, or from inside the theatre itself. Unlike amusement park rides, where non-stop action is expected, 4D cinema technology is more nuanced. It is active during an average 25 to 30 percent of any given movie. MX4D® is designed to enhance the action on-screen in the theatre for a more realistic and exciting movie-going experience.